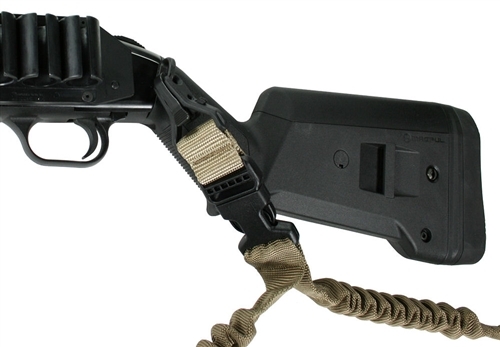 This sling features a Magpul Paraclip attachment device. 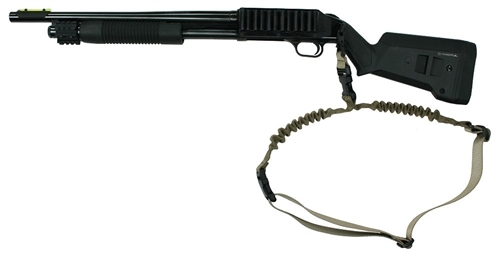 The paraclip is a clip-style sling attachment point for 1-1/4" webbing. It is Melonite finished steel with reinforced polymer hardware. A special feature of this device is that it is lockable to prevent accidental release.